and afternoon trips, with the afternoons often offering up a better catch. Crazy off the scale weather here with way too much rain. Way too much rain. But the wind stayed down despite the record rainfall and there were some sunny periods. Today it has been lots of sun and we can hopefully stow the rain suites for a while. Near shore action to often the best choice as even though almost flat calm seas have tempted many to venture out a good distance from those near shore reefs, the Mahi-Mahi can still be a tough target. 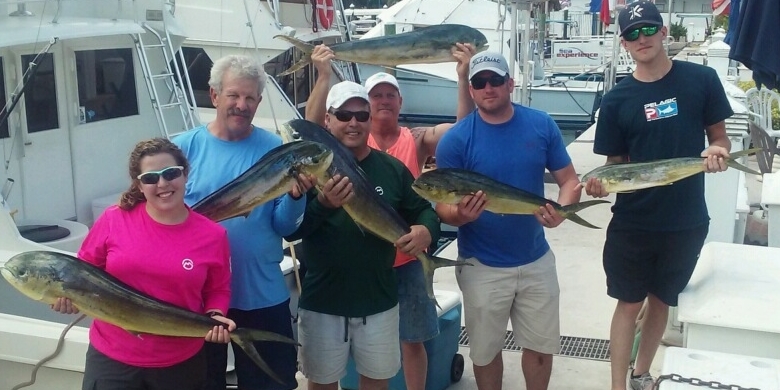 As we move into the summer the Mahi will find their comfort zones on many days to be further and further offshore. But we have managed to locate them on occasion and most are schoolies to gaffers as pictured . Still seeing Blackfin Tuna just off the edge of the reef line near shore in occasionally big numbers and they can bite any time of day but some big ones have been showing late in the afternoons. Often good numbers of their other family members the Bonito on and just off the reefs and we have been enjoying them too as they give that good pull and many a Junior sized angler among others is thrilled when they crack that rod over. 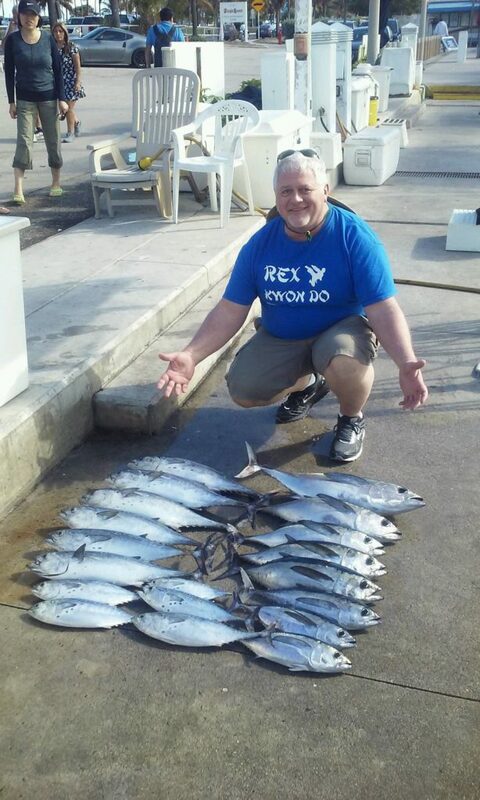 Fishing just deeper will typically bring more Tunas into the picture when the Bonito begin to take over. 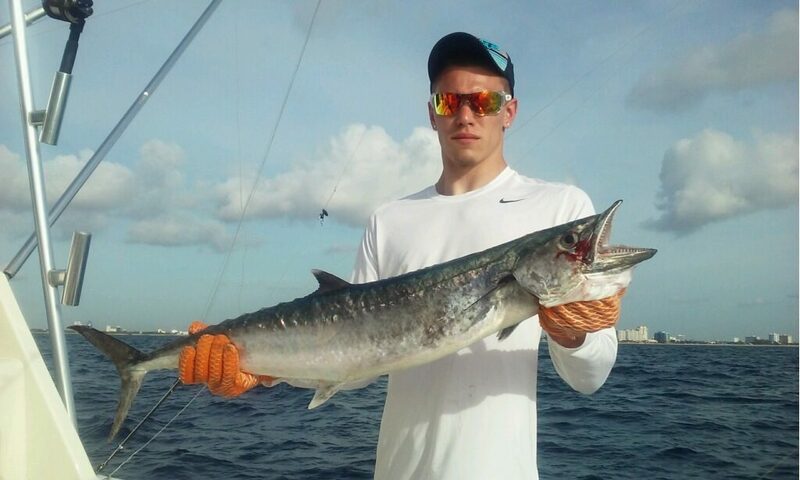 We have had some strong Kingfish days and as expected with the now warm weather most are taken on the deep lines. Almost every King is easily of legal size for keeping and a good number are pretty nice fish. We expect this to continue. 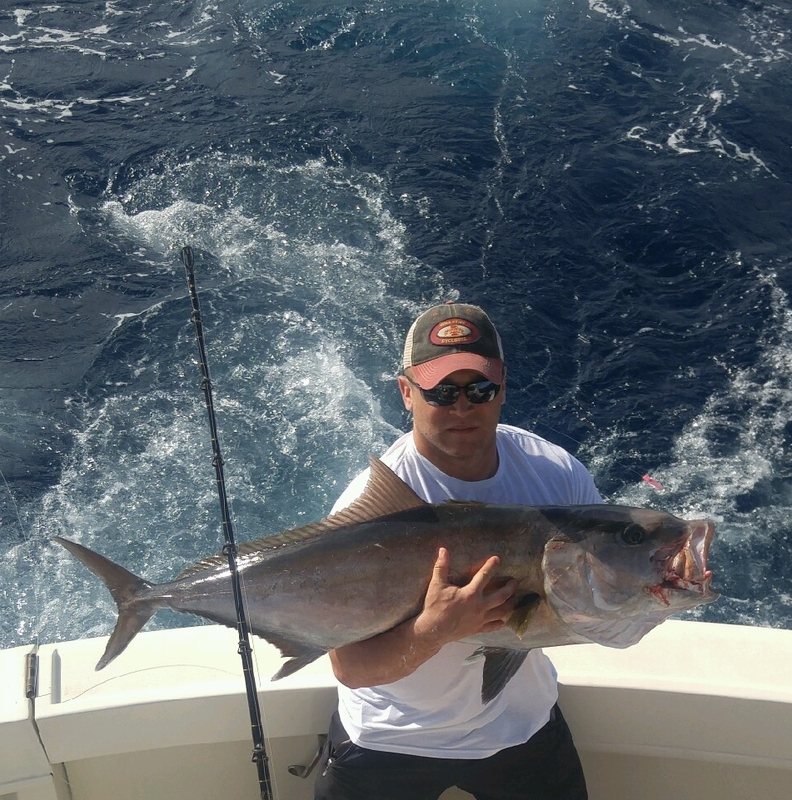 Still some fat Amberjacks on structure and Golden Tilefish have been taking baits well out in 750 feet.